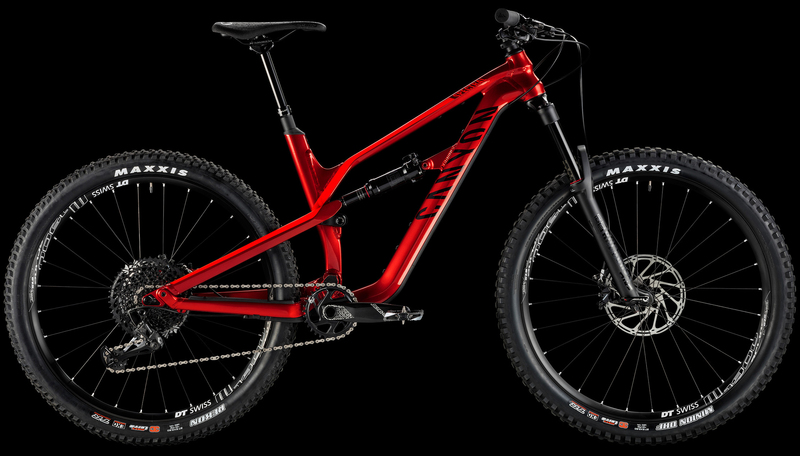 German bike manufacturer Canyon Bicycles initiated a voluntary recall last week of 820 mountain bikes, each valued between $2,400 and $4,500. The recall affects certain mountain bikes in the brand’s full-suspension Spectral line. The fault occurs in bikes with aluminum chainstays, the tubes on either side of the rear wheel that run between the rear axle and bottom bracket. According to the brand, these chainstays can crack and cause the rear wheel to detach while riding, posing a serious crash hazard. Canyon said it has received 20 incident reports relating to the broken chainstays but is aware of no injuries. Both men’s and women’s Spectral mountain bikes are included in the recall. All recalled bikes were sold online through Canyon‘s website between December 2017 and June 2018. See below for the list of men’s and women’s bikes recalled by Canyon. Canyon said the affected bikes came in black/red, black/blue, gray/orange, red, and black color schemes. They have the word “Canyon” printed on the downtube and “Spectral” on the top tube. Canyon urges owners to stop riding these bikes immediately and contact the brand at us@canyon.com or call at 1-833-226-9661 (7 a.m. to 5 p.m. PST Monday through Friday). Canyon will provide “free replacement and installation of chainstays” for those affected. The post Mountain Bike Recall: Canyon Finds Defect in 820 Bicycles appeared first on GearJunkie.